There are a plethora of exciting opportunities to spend a full day in the great outdoors during your visit to the Shenandoah Valley. Of them all, one of the most popular activities by far is hiking, and it’s not difficult to see why. There are literally hundreds of Shenandoah Valley hiking trails that provide a challenge for your body and mind, spectacular views of our beautiful region, and opportunities to make memories that will last a lifetime. 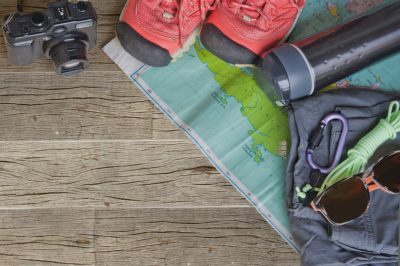 Don’t forget to pack your hiking shoes for these fantastic hiking trails located near our historic bed & breakfast in Winchester, VA.
Planning a visit to the Shenandoah Valley soon? Then you won’t want to be without our complimentary Vacation Guide to the area. This handy guide makes vacation planning easy with a full list of the best things to see and do during your trip including more Shenandoah Valley hiking trails, dining, shopping, theaters, annual events, and more. One of the most important things to take note of while you’re planning a hiking excursion is the difficulty of the trails. Trekking through the mountains can be strenuous if you are not prepared or take on trails that are way beyond your current stamina level. Luckily, our region has a system that makes finding the perfect trails for you simple. Shenandoah’s hiking difficulty is determined through a numerical system that uses a formula of elevation gain x 2 x distance (in miles). The product’s square root is then the rating. The easiest Shenandoah hiking trails are rated less than 50, moderate is 50-100, moderately strenuous is 100-150, strenuous is 150-200, and very strenuous is over 200. You should also know that there are three districts (North, Central, and South) that break up the Shenandoah National Forest. These facts make it easier when mapping out your Shenandoah hiking trails routes. Located just west of Stephens City, Sky Meadows State Park features almost 2,000 acres on the east side of the Blue Ridge Mountains. Within those 2,000 acres are 24 miles of trails along with a historic colonial 1860s farm. This gives you the chance to learn more about our region’s history while exploring the trails. There are also plenty of opportunities for fishing, boating, and horseback riding. The Big Schloss is another frequented trail in the George Washington National Forest and rewards hikers with expansive views from the peak of the mountain. Moderate to expert hikers will enjoy this trail, which begins with a fairly steep and steady uphill stretch. Once you reach the ridge, the trail evens out, offering some forested trails that vary in steepness throughout the rest of the hike. Before you’re even a mile in, you will already catch the first overlook with a view that lasts for miles and miles. At the summit, you will find the best views and have some space to eat a snack before descending. Buzzard Rock North is one of the closest hikes to Winchester, VA and a great choice for beginners and those looking for a quick and easy Shenandoah Valley hiking excursion. The 4-mile trek takes about 1.5 hours to complete and winds through several small hollows on the lower part of the mountain before steeply inclining up the ridge. From the top, you’ll be rewarded with views of spectacular vistas from Buzzard Rock. After your hike, come back and refuel with a delicious meal in one of our favorite Winchester restaurants. The Upper Hawksbill Trail in the Central District is one our area’s most popular short hikes. This 2.1-mile round trip will just take around an hour and a half, making it a great morning hike to start your day off! The elevation gain is 520 feet. You’ll stroll past some beautiful trees and shrubs along the gnarled edges of Hawksbill. You will also see balsam firs and red spruces, as well as some colder and icier climates in the winter months. If you’re looking for Shenandoah hiking trails with waterfalls, this is the one for you! Dark Hollow Falls Trail is an icon in the Shenandoah Valley and features a beautiful 70-foot cascade that tumbles over the rocky ledges and into graceful, shallow pools. The trail is also only 1.4-miles long, making it suited for almost everyone to travel in just around an hour and a half. Whiteoak Canyon Trail is a moderate-level adventure with stunning natural elements among the landscape. During your 8.4-mile hike, you’ll discover gorgeous features such as waterfalls and plenty of local wildlife. The climb is 2,198 feet and will traverse various terrains as you step between the Lower and Upper Falls. Compton Peak Trail is a lightly trafficked journey that you won’t soon forget! The approximately 2-mile trail has beautiful views of the northern section of the Shenandoah Valley and lovely wildflower fields that will make for picture perfect photo opportunities. If you travel down the second spur trail, you’ll also find unique geological features called columnar basalts, which were formed from ancient lava flows over 700 million years ago. As one of the most difficult hikes in Shenandoah, Old Rag Mountain Trail is best suited to experienced hikers and those seeking a ferocious challenge. The trek stretches 8.6-miles near Syria, VA and travels upward for several miles. However, there are plenty of switchbacks that allow you to catch your breath and enjoy the scenery before carrying on up the mountain. The trail may be strenuous, but the amazing 360-degree views from the top are well worth the effort. Located in nearby Bluemont, VA, Raven Rocks is a 6.2-mile trail that is sure to get your heart pumping. The view from Raven Rocks is reported to be one of the best in the area, but reaching this point will require plenty of strenuous uphill climbs. This is also a popular spot with rock climbers since the rock wall can be accessed just .4-miles west of the trail. Just as nature can be beautiful and inviting, it can also be unpredictable. 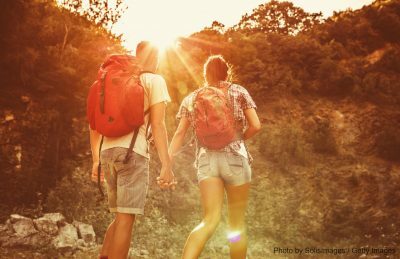 When you’re preparing for a trek into the Shenandoah Valley, having the right supplies will keep you comfortable during your hike and could save you from a potential disaster. Here is a checklist of some things you’ll want to have with you. -Sturdy Rain Jacket (even if rain is not in the forecast). -Insulation jackets (depending on the season). After a full day of hiking in Northern Virginia, we invite you to come back and relax at our one-of-a-kind bed & breakfast in Winchester, VA. 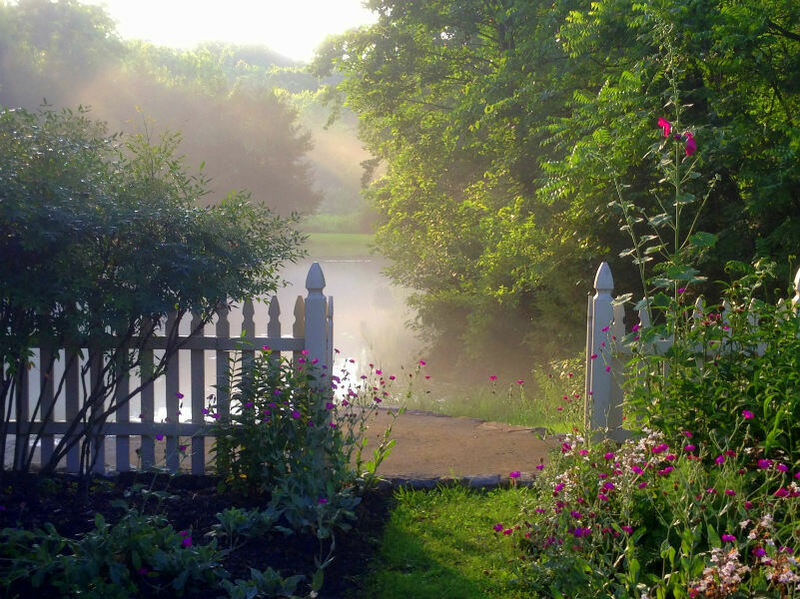 The Inn at Vaucluse Springs was once the home of a young Revolutionary War captain but has since been completely restored to become the beautiful and inviting inn you see today. Guests of the Inn at Vaucluse Springs will enjoy a wide variety of thoughtful amenities and features including beautifully decorated guest rooms, a delicious gourmet breakfast each morning, and delightful vacation specials and packages. We also host incredible mindfulness programs and retreats that will restore your mind, body, and spirit while teaching you to live in the moment. No matter how you decide to spend your time with us, we will do everything we can to ensure you enjoy the vacation of a lifetime. Book your next Shenandoah Valley getaway with us today! We look forward to welcoming you to Winchester soon.